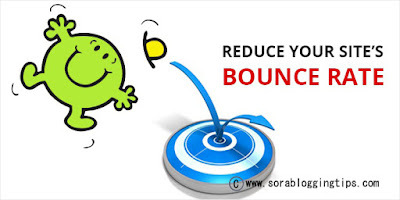 Today's topic is about How to add related post widget below every post in blogger, Bloggers always wonder that related post widget is just fancy thing to add but they don't know that it helps in reducing bounce rate which will give your blog traffic a initial boostup. Because it helps your reader to find a relevant post related to that topic and also make them stick with your blog for a long period of time.There are lots of other related post widget but most of them were badly coded or not highly targeted to show relevant post. Lets move further and see How to add related post widget below every post in blogger. You can check a live preview of the related post widget by clicking the button below. Why Related Post Widget Is Important? sometimes you may want to do something extra and attractive with your blog to attract new visitors and gain more traffic for extra revenue. Making your blog visitor to stay for a long period of time is kind of tough job but that is extremely useful for your blog, it will help you to reduce your bounce rate very quickly, the more a visitor will stay on your site, the more chances of getting good revenue through ads and adsense. OK, everyone claims that they have the best thing in the market and that is normal but we claim that we have the thing which no one has, Yes its true. Our widget is professionally optimized to show targeted posts and it loads with Ajax that makes it fast loading !! Yepieee ( Very Fast Loading ). Also the script which we are using will showcase your thumbnail in very high quality, So no more blurry images. Note :- If you want to display the widget in every page ( Homepage, postpage, indexpage, searchpage, archive page etc.) Then remove thore lines which are marked in red from the above code. Step-2 ( Adding SCRIPT ) - Most Important !! Note :- If you want to display more post or want to change the default image for posts without images into the widget then change the value which are marked in red from the above code. Congrats !! You have made it. now you have learned that How to add related post widget below every post in blogger. Visit your blog and check the awesome widget live in action, hope you liked this tutorial, if you enjoyed then please share it with your friends, we are working hard to develop more such awesome widgets please stay tuned with Us. Adios !! (Goodbye in Spanish).